Rich and Elizabeth tell the story of how they turned their passion for travel into a year long trip. Do you dream of travelling the world with your spouse or partner but don’t know where to start? In The Couple’s Guide to World Travel, Rich and Elizabeth Kerian share the story of how they turned their passion for travel into a year-long trip around the world. The globetrotting couple reveal their tips and tricks to make the most of your time away, providing a recipe for adventure. This menu approach to world travel can be adapted to any time frame and budget. Whether you’re on a shoestring or in search of a little bit of luxury, Rich and Elizabeth show couples how to plan an extended travel experience together. 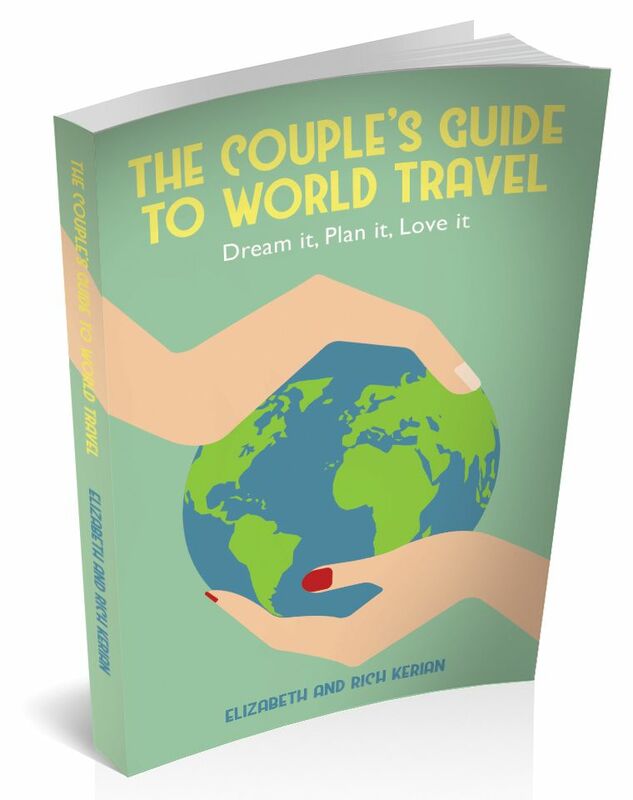 Rich and Elizabeth Kerian are the authors of the blog, Our Travel Menu, one couple’s ‘menu approach’ to travelling the world. They have been sharing their passion for travel since they met on a business trip in Hawaii in 2006 and have explored over 50 countries across 6 continents together. They decided to pursue their dream to travel the world for a year and wrote the book, The Couples Guide To World Travel, to help others to realize their own travel dreams. Download the Advance Information for The Couple's Guide to World Travel here.